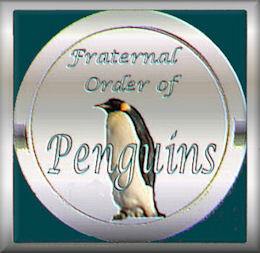 The Spondyville chapter of the Fraternal Order of Penguins was founded in 1878, only a few short years after Spondyville was first settled. 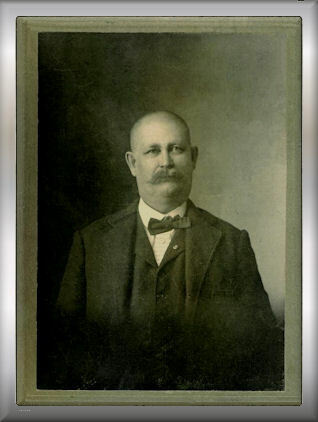 The core of the original “nest” or "lodge" as it is known in some parts of the country, was made up of Spondyville’s co-founders, Elias Fuselot and Uriah Stoop, and six of its pioneers, Zebulon Trask, Calvin Culpepper, Philander Eames Atkins, Andrew Tripzen, Silas Stumbles and Thomas Thruitt. The first Grand Waddler, Zebulon Trask, donated a small corner of his farm on which to build the first Penguin’s nest. Unfortunately, it was struck by lightning in 1902 and burned to the ground. A new nest was built the following year and it has remained in its current location ever since. The Penguins membership has been responsible for many civic improvements around town over the years, and their charity work has made an enormous difference in the lives of many of Spondyville’s residents. The Penguins' semi-annual bake sale for children's charity will be held this Saturday afternoon from 10 AM to 5 PM.